In a bowl, combine and mix well the above ingredients. Refrigerate and let flavors blend for 30 minutes or more. 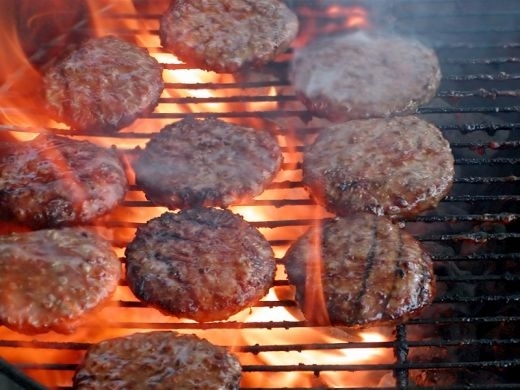 Shape in to eight patties and grill, pan-fry or broil until no longer pink. Sprinkle a little extra Blackening Spice on burgers just before removing from cooking or sprinkle on cheese if cooking cheeseburgers. Brush both insides of Buns with melted butter and place on grill or griddle and grill them until toasted. Serve Hamburgers on toasted buns with lettuce , tomato, onion, and mayonnaise or your other favorite garnish. Hot and spicy burgers your guest are sure to love.